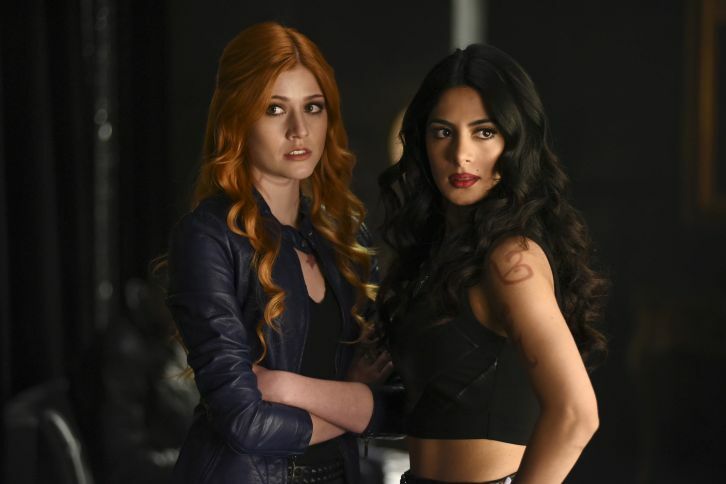 Time is running out for the Shadowhunters to stop Valentine in “Morning Star,” the season finale of “Shadowhunters,” airing TUESDAY, APRIL 5 (9:00 – 10:00 p.m. EDT) on Freeform. Jace, who is still reeling from everything that has happened, makes hunting down Valentine his number one priority even though he continues to wrestle with his conflicted feelings. In hopes of finding a way to stop Valentine before it is too late, Clary and Simon must find the key to unlocking Jocelyn’s coma. But that key to unlocking Jocelyn’s spell may just undo the Downworlder peace treaty, Simon’s relationship with Raphael, and the Vampire clan in the process. “Shadowhunters” is produced by Constantin Film and executive-produced by Ed Decter and McG. The series stars Katherine McNamara as Clary Fray, Dominic Sherwood as Jace Wayland, Alberto Rosende as Simon, Emeraude Toubia as Isabelle Lightwood, Matthew Daddario as Alec Lightwood, Isaiah Mustafa as Luke Garroway, and Harry Shum Jr. as Magnus Bane.